Coverage is supposedly 10 times your yearly salary before deductions. Allstate offered me a $250,000 one, but Huntley Wealth said a $500,000 would be much better since this year with all the extra classes I'll be making much more than $25,000. If you have two incomes, yours and your partner's, that's something else to take into consideration. Term life insurance is for a fixed number of years and payments don't go up. So if you have a 10 year term it's good for 10 years and then you have to apply again. It's hard to get term policies in Asia. Whole life is more common because of the investment / retirement benefits and coverage is forever even though premiums stop at 60 or 65. There are also tax advantages to whole life. Some counties might provide life insurance if you pay into a pension plan. For example, if you pay into the Korea Teachers' Pension Fund you are automatically enrolled in their life insurance. AIG was recommended by tttompatz and said it cost about $500 a year. I called Allstate on July 16th 2012 and arranged for life insurance ($250,000 for me and $20,000 for my daughter) at the total cost of $23 a month. The next day they took the money out of my account and a week later I had a medical. On July 27th 2012 I received a check for $23 with no explanation other than "closeout refund". I had asked them if they cover Americans overseas and they said it was no problem. I called and no one could tell me why my policy was cancelled. After being transferred for the third time I was told it was because I lived overseas. I told them I had said that when I applied and they said they had no more information. BUPA was recommended by tttompatz. Clements: They quoted me $219 for 250K which is the max I could take out. It's five times your annual income. I went with this company. Expat Financial is another company that specialises in people who live overseas. They seem to be a part of TFG Global. Expat Global Medical - I have no direct experience with them. On August 1st, 2012 I called Huntley Wealth and was told that Prudential is the way to go. 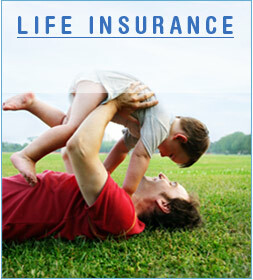 The plan is with Pruco Life Insurance Company which is part of Prudential. They have an article about their services. You can call them on 877-443-9467. The problem is that you have to be IN the US when you apply and receive their life insurance and it takes about 6 weeks to do so. tttompatz also recommends them and said they're about $300 a year but didn't include a medical rider - it was just term life. Orion International Insurance Services: I contacted Expat Financial, who told me to contact TFG Global who told me to contact Orion. On July 30th 2012 I called State Farm and they said no. BUT if I had opened an account with them before I left the US it would still be good, however, since I already live overseas it wouldn't. TFG Global: I was referred to them by Expat Financial. Since my home address is in the US, they referred me to Orion International Insurance Services. William Russell might be able to help people out. For a 20 year term of $300,000 it would be around $400 a year. I contacted them in spring of 2012 and for a $500,000 policy, it would be $690. At that time, they require a certified copy of your passport, a recent utility bill, and tons of paperwork. However, since then they have updated their website, application process, and claims procedure and made it easier.